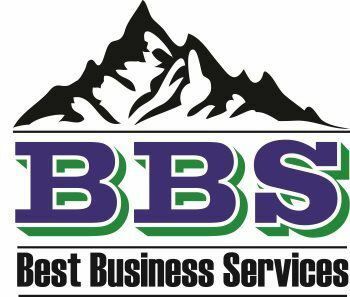 At Best Business Services, LLC (“BBS”), our goal is to help start-ups and small businesses to succeed by providing high quality administrative services. Our prices are guaranteed to be the lowest in the industry especially for the high quality of services that are provided. We have C-Level (CEO, CFO, CIO, CTO, etc.) leadership that provides guidance and direction for each employee at BBS thus ensuring that the quality of service you receive is the highest in the industry and much better than you could otherwise afford as a small business. Our services are customized and priced for your unique business. We don’t have any one-size-fits-all services or pricing because no two businesses are exactly alike. We will visit with you and provide you with a specific price customized for your business for each service that you ask us to provide. Typically our prices are a fraction of the cost of the same service provided by others. We can do this because most of our senior leadership is provided at no cost by senior level volunteers who wish to see new businesses in Utah succeed, add jobs, and improve the Utah economy. If you find any service that we provide at less cost for the same quality from anywhere else, we will match the price plus give you an additional 10% back. BBS does not have a desire of need to make the large profits required by other business services firms. Unlike other business services firms, we are not primarily profit motivated – our primary motivation is Utah job creation and fostering entrepreneurship. For some qualifying clients, we can even provide our services for free for a limited time, thus helping our clients to achieve greater success and profitability. Let BBS help your company achieve its full potential and become one of Utah’s success stories.